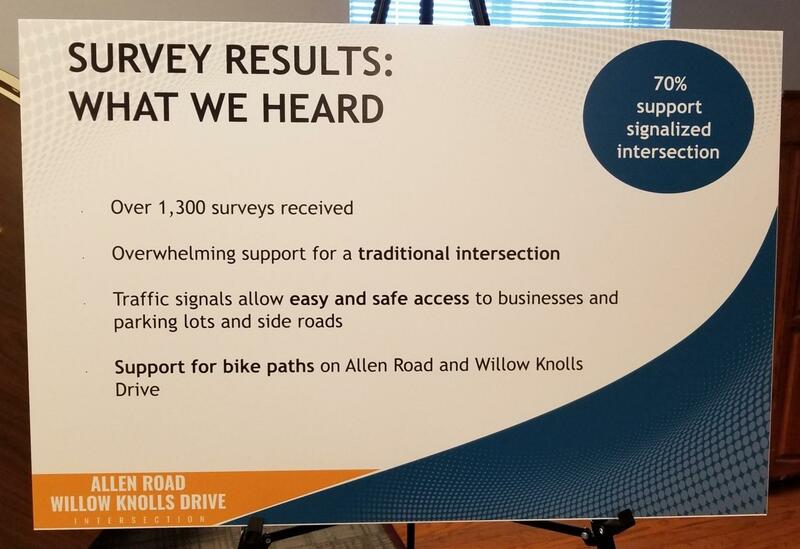 Respondents to a city of Peoria survey overwhelmingly favored a signaled intersection at Allen Road and Willow Knolls Drive. “The biggest change will be (that) we’ll be adding a right turn lane for the southbound Allen Road to turn right onto Willow Knolls. But everything else that you see out there today will be very similar to what we’ll be building,” says Lewis. Lewis says one lane on each road will remain open during construction, which is expected to last into November. The replacement is estimated to cost $2.2 million and will be shared equally between the city and Peoria County. The existing Allen Road-Willow Knolls Drive intersection was constructed in 1979.